The U.S. dollar has been soaring against a number of currencies, but what does this mean if you’re looking to invest in property overseas? Data compiled on behalf of Mansion Global by the real-estate consultancy Knight Frank shows a sharp increase in the purchasing power of American real-estate investors over the past two years and highlights several markets where bargains abound for those buying with dollars. Brazil’s economy is mired in recession, with the government facing a sweeping corruption probe. While this may not spell good news for Brazilians, it certainly presents opportunities for American property investors, whose purchasing power has risen by 68% over the past two years as the real depreciated against the dollar, according to Knight Frank. According to Araujo, it’s not difficult for Americans to purchase property in Brazil once they have a “Cadastro de Pessoas Fisicas,” or Individual Taxpayer Registry, which is similar to a social security number and takes only a few days to process. 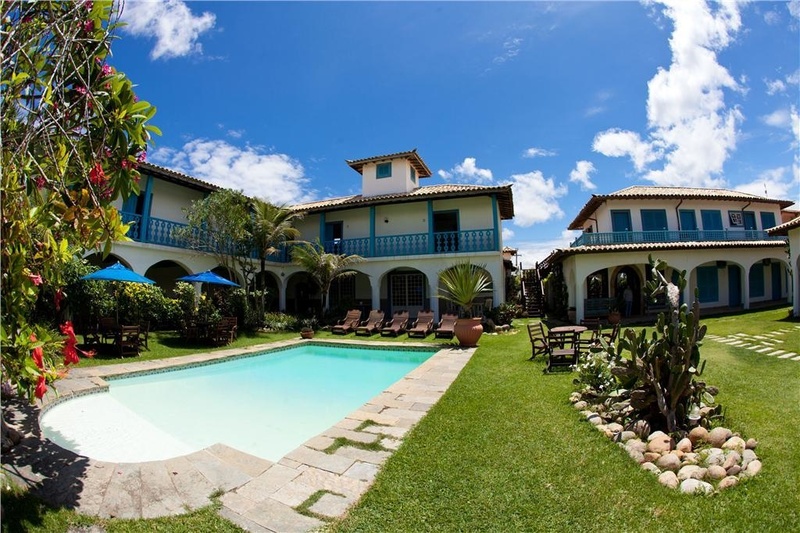 Located in Armação dos Búzios, a resort set on an ocean peninsula east of Rio de Janeiro and surrounded by beautiful beaches, this 22-bedroom, 23-bathroom property spans more than 12,000 square feet and boasts a tennis court as well as guest quarters. Changes to the law have made it easier in recent years for foreigners to snap up properties in Turkey. This led to a near-doubling in the number of foreign buyers between August 2014 and August 2015. In particular, the Bodrum peninsula—whose marinas, beach resorts and fishing villages have made it a summer playground to rival the south of France and Ibiza—has seen a surge of interest from international buyers, while Istanbul is popular with investors. Even those who invested a year ago should have seen some returns. Turkey topped Knight Frank’s global house price index in the third quarter of last year, with year-on-year growth of almost 20%. In addition, Americans have seen their purchasing power increase by 36% over the past two years due to the Turkish lira’s slump vs the dollar. This 3-bedroom fully serviced private freehold villa at the Mandarin Oriental in Bodrum has access to Mandarin Oriental’s amenities including three secluded beaches, a spa, and six restaurants and bars. With exchange rates heavily weighted in their favor, foreign investors are showing increasing interest in South Africa’s property market during the country’s current economic downturn, attracted by winter sun and reasonably priced homes. In particular, an American considering a $5 million home in South Africa would have seen a 48% rise in purchasing power between the beginning of 2014 and last month. According to Ennik, investors are mainly interested in cosmopolitan Capetown, on South Africa’s southwest coast, and Sandton, an affluent “live-work-play” precinct of Johannesburg, the country’s financial and commercial capital. 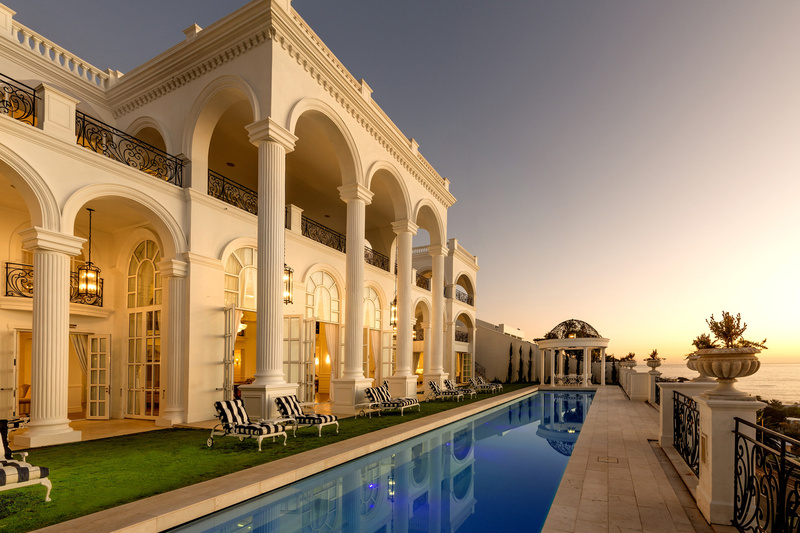 Described as Africa’s most opulent home, this 33,000-square-feet property boasts reception rooms that accommodate up to 500 guests, a 14-car garage and a gymnasium and spa complete with massage room, squash court and sauna. With the Sundance Film Festival coming to a close last month and the 2016 Oscars this coming weekend, the movies that are critically resonating most this year portray an undeniable realism. From Best Picture frontrunners Spotlight and The Revenant, to Sundance favorite The Birth of a Nation, it would indicate that true stories are where filmmakers are putting their focus. Yet the 2015 (and early 2016) Cineplex had its share of colossal moments of grandeur and escapism for the masses. Jurassic World broke the opening weekend box office record in June, followed swiftly by Star Wars: The Force Awakens shattering that record again the week before Christmas. Despite Star Wars using every modern digital technique to bring the story to life, the filmmakers made a conscious (and heavily promoted) decision to ground the movie in realism by using 35 mm film instead of digital, using on-set animatronic creatures and costumes, and, just as imperatively, shooting on location to bring the many worlds of the galaxy far, far away back to audiences just like George Lucas first did in 1977. One of the most exciting and exclusive ways for film fans to re-experience their favorite films are to visit those amazing locations themselves. The opportunity to actually own a piece of cinematic history comes rarely. Even rarer are those items and locations touched by the master of suspense himself, Alfred Hitchcock. Yet, nestled prominently on the French Riviera, the grand La Croix des Gardes in which the classicTo Catch a Thief starring Grace Kelly and Cary Grant was set is now for sale. Released just two years prior to the aforementioned Hitchcock classic is the quintessential romantic comedy Roman Holiday. Starring Gregory Peck and Audrey Hepburn, two actors who define the phrase Movie Star, Roman Holiday has become one of the finest examples of Hollywood’s golden age. Set throughout the romantic and historic local of Rome, Italy, the film employs classing framing techniques by combining staged interior sets, rear projection to simulate Rome’s street, and on-location photography, all with a delightful and enjoyable tone. If discussing classic Hollywood productions, the romanticism of European locales always come second to the capital of motion picture production – Los Angeles, California. The headquarters of every major (and most minor) production studios, the clear skies, modern culture and luxury living of LA have been the backdrops of hundreds of films. Of note is the 1997 film LA, Confidential. Winner of two Academy Awards and nominee for an additional seven, the Kevin Spacey and Kim Basinger-starring crime drama makes impeccable use of the City of Angles in service of throwback noir tropes with modern filmmaking style. For children of the 80s and 90s, there is no more influential filmmaker than the late John Hughes. And when discussing the works of the writer and director of classics such as The Breakfast Club, Sixteen Candles, and Uncle Buck, it should incontrovertibly include his portrayal of the city of Chicago, Illinois. Often set among its suburbs, John Hughes’ loving portrayal the Windy City is most notable in Ferris Bueller’s Day Off, a travelogue of Chicago’s exciting cultural sites. Also of note are his writing and producing credits on films not also directed by him. The Christmas classic Home Alone, written by Hughes and directed by Chris Columbus, is yet another Chicago suburb-set picture. For those also looking to live steps away from film history, this gorgeous Nantucket-style home is down the literal street from the McAllister residence. Happily, the previous owners of this home were not victims of the infamous Wet Bandits, so any concerns of water damage are entirely unfounded. The ways in which movies are now experienced has drastically changed over the last several decades. From the advent of home video in the late 70s to the ubiquity of cable and premium TV, all the way to the adoption of DVD in the early 2000s and the recent evolution of on-demand streaming networks, the theater is becomes less and less essential to the cultural impact of modern films. A quintessential example of this is the popularity of The Shawshank Redemption. Released in 1994 and critically acclaimed at that time (it was nominated for Best Picture alongside Forrest Gump and Pulp Fiction), it was a financial failure, garnering only a smattering of viewers in theaters. Yet over the years, through its VHS release and consistent scheduling on cable TV stations, The Shawshank Redemption became an absolute classic. As evidenced by its top spot on the IMDB Top Movies list, millions of home viewers experienced the final reunion of a freed Andy Dufresne and Ellis Boyd ‘Red’ Redding in Zihuatanejo, Mexico. Interestingly, that final location was not actually filmed on the Pacific coast of Mexico. Instead, the filmmakers ended their story on the white, sandy shores of St. Croix. Contrasting with the greys and browns of the prior two-plus hours we spent with the characters, it’s fair to forgive the filmmakers for the slight of hand given how blue and bright the waters of the Caribbean shine. Thousands upon thousands of films have made their indelible mark on cinema by embracing exciting locations around the world, yet none have been able to use a single destination to bring the audience to another world entirely as The Lord of the Rings. Shot throughout the country of New Zealand over the course of half a decade, Peter Jackson and his fellow filmmakers utilized locations ranging from the frozen peaks of Centerbury, to the rolling hills of Matakana, to the lush rivers and forests of Wellington, and the soundstages located in Queenstown. So absolutely bound is New Zealand to the cinematic legacy of The Lord of the Rings that many landmarks from the films have been made permanent to support the $15 billion in annual tourism, allowing movie buffs and sightseers to go there and back again many times over. This post was provided by guest contributor, Christian Russo, Senior Interactive Marketing Manager for Sotheby’s International Realty Affiliates LLC. The latest volume of Art & Home is here! This month, Iyna Bort Caruso showcases homes with captivating and architecturally significant staircases from around the world. Staircases are among the oldest architectural elements, conceived in function and, in the most dramatic cases, elevated to an art object. Their roles in literature and history are classic. Think the iconic staircase in Gone with the Wind, the red-carpeted staircase of the White House and the heart-shaped limestone staircase at Rosecliff, the great Gilded Age mansion in Newport, Rhode Island. Then there is the famed Tulip Stairs at the Queen’s House, the former royal villa in Greenwich, England. Its self-supporting spiral staircase reflects a brilliant harmony of mathematics and majesty. Staircases define the character of a home and set the tone for the interior design to come. In estates of distinction they can be the unexpected focal point, expressing power by their twists and turns. They long ago stopped being simply an answer to an age-old challenge, getting from point A on one level to point B on another. They are a showcase of innovation and ingenuity. Winding, curved, spiral, helical, flared, twin and seemingly gravity-defying are among the countless options and variations. Staircases are complex affairs. All parts need to interact structurally. Building codes ensure aesthetic considerations do not eclipse safety and functionality concerns. While the evolution of technology has helped to turn staircases into architectural stars, they can function beyond visual showpieces. They can be experiential. Custom builder Ted Visnic of Visnic Homes in Rockville, Maryland, says some homeowners, for instance, ask that staircases be “tucked around a corner so you discover them, if you will.” Others request staircases be framed by a bank of windows to “wash the homeowners in natural light” as they ascend and descend the stairs, Visnic adds. Shape, materials and finishes dictate pricing. One of Visnic’s current residential projects is an estate in which the staircase cost upwards of $120,000–not bad for a scene-stealing work of art. Explore the latest edition of Art & Home here! To visit Telluride Luxury Properties click here! $725 Million Waggoner Ranch Sells! An aerial view over a portion of Waggoner Ranch in Texas. Billionaire Stan Kroenke, owner of what are now the NFL’s Los Angeles Rams, has purchased a massive Texas ranch that had a $725 million price tag. The exact purchase price was not disclosed, but if it came anywhere near the asking price the ranch would become the priciest ever to sell in the U.S. The 510,000-acre W.T. Waggoner Ranch spans nearly 800 square miles and is believed to be the largest ranch behind a single fence in the U.S., said Joel Leadbetter of Hall and Hall, who represented Kroenke in the deal. To date the most expensive ranch to sell in the U.S. was the Forbes family’s (yes, this Forbes) 172,000-acre Trinchera Ranch in Colorado, which hedge fund billionaire Louis Bacon bought in 2007 for $175 million. It is unclear but likely that Kroenke’s new ranch, which is nearly three times the size of Trinchera, fetched a higher price. Waggoner Ranch includes 30,000 acres of farmland, several creeks, more than 1,000 productive oil wells, hundreds of horses and thousands of cattle. The ranch received the prestigious American Quarter Horse Association Best Remuda award in 1994 for its high-quality herd of quarter horses. “It’s been in the same family of ownership for 167 years, which is basically unheard of for ranches,” Leadbetter said. Kroenke Sports Enterprises owns the Rams, NBA’s Denver Nuggets, the NHL’s Colorado Avalanche, Major League Soccer’s Colorado Rapids, the National Lacrosse League’s Colorado Mammoths, and is the largest shareholder of the English football club Arsenal. Kroenke, worth $7.3 billion by Forbes’ latest count, announced in January that the (former) St. Louis Rams were relocating to Los Angeles. Uechtritz began marketing the property heavily in January 2015, and says he showed it about 50 times. Kroenke emerged the winner of six final bidders who submitted buying proposals in the fall in what was a highly competitive process, Uechtritz said. Judge Dan Mike Bird of the 46th Judicial District Court allowed the Waggoner Ranch’s owners to proceed with the sale. Joel Leadbetter of Hall and Hall in Bozeman, Mont., and Sam Connolly, general manager of Kroenke Ranches, represented Kroenke in the deal. Bernard Uechtritz, international real estate advisor to Briggs Freeman Sotheby’s International Realty in Dallas, and Sam Middleton of Chas. S. Middleton & Son in Lubbock, represented the owners in finding a buyer for the Waggoner Ranch. Given the complex nature of the transaction, multiple attorneys were also involved. When San Miguel County Treasurer Janice Stout took office in 2007, her office opened 19 foreclosures countywide. By 2010, the nationwide mortgage crisis had reached Telluride; her office opened 107 foreclosures that year. The county has once again returned to the other side of that peak, she reported this week: In 2015, her office opened just eight foreclosures in the county. To date in 2016, she has not opened a single foreclosure case. The drop in foreclosures means Stout’s office is bringing in less revenue, but the treasurer said that’s good news for the county. Stout said federal programs, including the Making Home Affordable program that requires lenders to work with borrowers on loan modifications before filing for foreclosure, have contributed to the decrease in foreclosures, but the strengthening local economy has also played a role. Thomas Galleger, community bank president for the Telluride branch of ANB Bank, agreed. “The housing market right now is extremely strong, and that’s the primary reason you haven’t seen any foreclosures,” he added. Owners headed toward foreclosure can opt to sell the property. Telluride Association of Realtors President Pat Pelisson said the local real estate market has rebounded. In 2011, he said, TAR brokers completed $247 million in transactions. In 2014 that number had risen to $461 million. Pelisson added that the local market was slow in 2010 and 2011 because “bottom feeder buyers” were coming into the market looking for a deal, but local owners had less of a need to sell than those in other markets. Prior to reaching single digits in 2015, the county treasurer’s office opened 27 foreclosures in 2014. Development is one way to secure investment grade stock in highly competitive cities. 2015 was a year of speculation and fluctuation, from oil prices to interest rates. But the global economic recovery, by and large, maintained an upward trajectory and this has sustained demand among competitive property investors for assets in the world’s real estate capital market. With many markets reporting record-high investment levels, industry experts are questioning whether this momentum can be maintained in 2016. While pockets of volatility are challenging some economies – the oil price dip in Dubai, for example; the over-supply in Singapore, which is dragging down rents; and political instability in Russia, which is deterring some investors – there are plenty of ways to profit from property over the next 12 months. However, the rules have changed since the last market high, says global capital markets research director, David Green Morgan, and savvy investors should take the following advice. As many markets reach the peak in this cycle, capital values are under increasing pressure and investors are urged to focus on assets with good income producing potential. This means looking closely at who occupies a building. Strong demand across almost all of the world’s major cities for space in offices, malls, warehouses and residential properties is pushing rental growth up but it’s also creating more competition – the buildings with better management will attract the highest paying tenants. Much has been said about many major markets reaching the peak of this investment cycle – transaction volumes in London and New York, for example, have surpassed 2007 levels causing concern in some quarters that the bottom is about to fall out of the international real estate market. But this is not the case, according to Green Morgan, who says that there is still room for manoeuvre in some of the most hotly contested cities. Finding property to invest in is possibly the primary difficulty facing investors who are looking at the world’s major cities. But development is one way to secure investment grade stock in highly competitive areas; providing the risk fits the reward. Regardless of the market or sector, the message is clear: there are still options open to investors in this capital market. Whether it’s refinancing at a lower LTV to reduce the total cost of debt, reviewing asset management or recycling a portfolio to reposition assets and protect against future turbulence, opportunities will continue to present themselves but they will perhaps be more difficult to spot. This article was originally published on JLL’s The Investor.